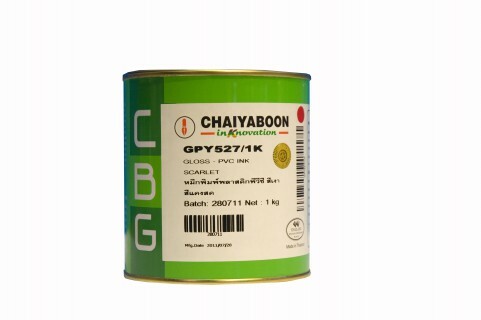 Chaiyaboon Brothers Co., Ltd. manufactures a wide range of screen printing products to serve the diverse printing needs of our customers. Our staffs are highly experienced in their field and are at your service to provide technical support tailored to your requirements with our state of the art laboratory facility. - Suitable for PVC Plastic, PC, Acrylic and CAB. 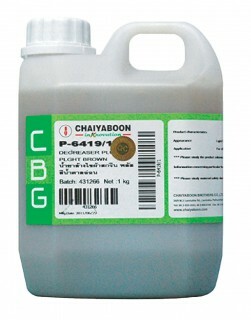 - Excellent flexibility and chemical resistance. - Fast dry and high gloss. - Light fast and weather resistance. 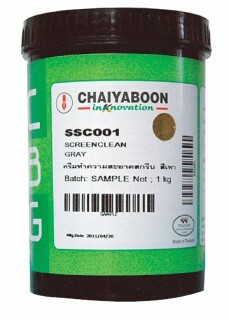 - Suitable for direct printing onto a variety of nylon fabrics. 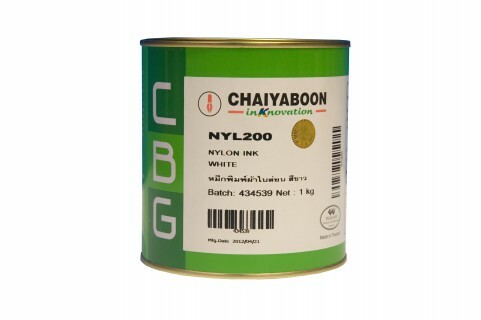 - When completely dry, the ink film has high opacity and excellent flexibility as good adhesion and wash fastness. - Suitable for printing onto Glass, Ceramic, Water-slide transfer, paper, Copper, Aluminium, Mirrors, Tin coated metal and Iron. - High gloss and slow drying. - Solder / Heat resistant. - Non-Toxic. - Diazo sensitized emulsion. - Resistant to water based and plastisol inks. - Excellent latitude, resolution and definition. - Blue colour. - Easy to washout. - Diazo sensitized emulsion. 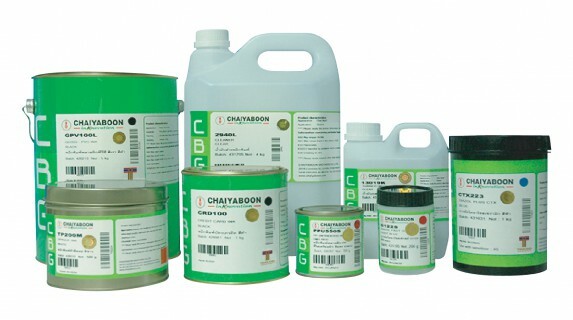 - Resistant to solvent based and UV based inks. - Excellent edge definition, mesh bridging. - Extremely resolution. - Good EOM with 1+2 coats. - Low Rz value. - Blue colour. - Highly suitable for 4-colour process and high tolerance printing. - Solvent resistant filler for retouching and blocking out stencils. - Easily removed with water. 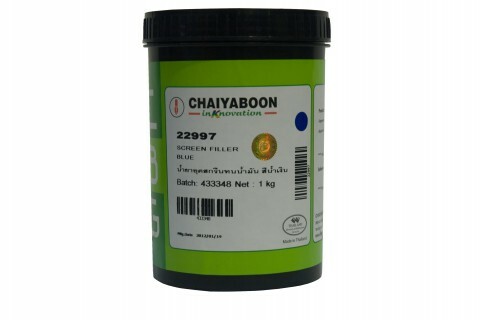 - For pre-treatment of all mesh used with direct emulsion, capillary and direct/indirect films, on both new and used screens. - Ensures consistant adhesion, eliminates static, fisheyes and pinholes. - 2 component frame adhesive. 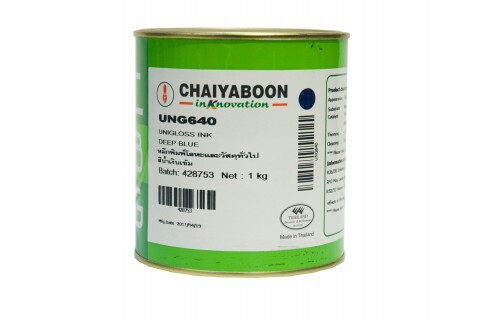 - Applicable to metal and wooden frame. - Easy to use. - Smooth finish. - Fast dry. - For removing stains from most types of mesh. 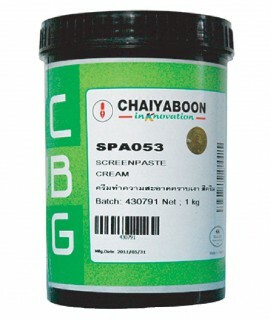 - Used with Screensolve help remove of ghost images and other stains caused by screen printing inks. - Convenient to use. 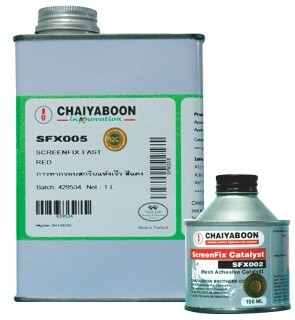 - Enhanced performance when use with Screensolve. - For remove ghost images and stain on all types of mesh. - Convenient to use.